It’s been a couple of years since I began using the innovative Troy-Bilt FLEX System that employs a shared “power base” engine that connects to a variety of attachments to perform assorted tasks around the home and garden. 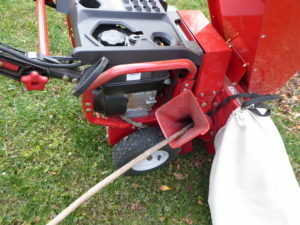 Today I will share my experiences with a new addition to the FLEX line of equipment; the Chipper Shredder attachment. This is one of the attachments that I was the most excited about and I waited patiently until this past fall when the FLEX Chipper Shredder was released along with the new FLEX Log Splitter attachment. My initial review and video featured the FLEX System Power Base, Wide-Area Mower, and the Snow Thrower. Since then I added the FLEX Power Washer and Leaf Blower attachments to use in the yard and around the house. Every attachment has performed perfectly and I have been very pleased with the FLEX concept and performance that this Troy-Bilt System delivers. Before I jump into the new Chipper Shredder it would be a good idea to provide an update on the other attachments that I’ve had a chance to use for two full seasons. The FLEX Wide Area Mower continues to do a great job on the lawn and hasn’t had any service issues. We only had one significant snow fall each of the past two winters but I was very impressed with the way the FLEX Snow Thrower handled them. This machine is a “thrower” and in each case I quickly cleared about two feet of snowfall from my driveway and two of my neighbor’s drives! One thing that I continue to appreciate about the FLEX System is that power base is in operation during each season so you never experience the type of difficult start-ups that can occur with equipment that has been sitting around for months and just doesn’t want to fire right up! There’s also a decreased need for using fuel stabilizers, or winterization, and I no longer have to waste gasoline by running engines dry at the end of the season. The FLEX Power Washer made cleaning the deck so much faster and easier last spring and is so convenient that I don’t hesitate to break it out for whatever odd cleaning job that could use a powerful blast of water behind it. 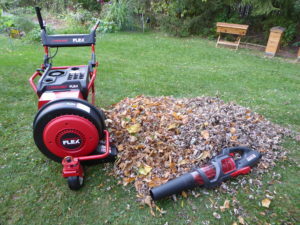 I debated over purchasing the FLEX Leaf Blower because I have handheld leaf blowers, but I was so glad that I did because I came to realize how much of a difference having wheels, propulsion, a directional blower, and greater power could make when moving mountains of leaves! 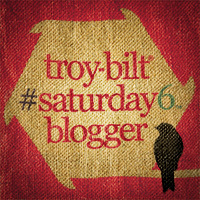 And that brings us back to my review of the Troy-Bilt FLEX Chipper Shredder attachment. I’ll avoid any suspense and begin by saying that I love the new attachment and that it has worked even better than I anticipated. 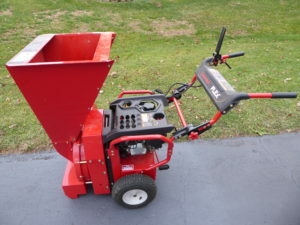 This is the first chipper shredder that I have owned and I was initially concerned about the size and maneuverability of the unit, but the FLEX Power Base easily transports the chipper into place and then powers its operation. The connection is as simple as any other FLEX attachment; it clicks right into place and is ready for action. Starting the engine requires a slower and stronger tug of the cord compared to the other attachments in order to get all of the internals of the chipper spinning, but other than that startup was a breeze. From there the drive of the power base provides all the muscle needed to move the FLEX Chipper Shredder wherever you want to use it. 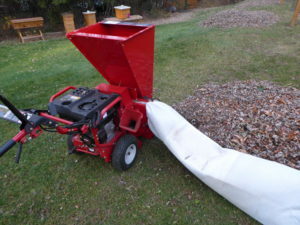 The layout is similar to stand-alone chipper shredder units; with a large hopper that will accept leaves, twigs, and yard debris. In addition there’s also a side chute with a two inch chipping capacity. A 10:1 debris reduction ratio makes the five bushel collection bag seem even more spacious and reduces time spent emptying and reconnecting the bag! This is by far the tallest and heaviest attachment that I have used with the Flex System but as I mentioned earlier, the FLEX Power Base has no difficulty driving and powering the unit. When moving the FLEX Chipper Shredder around I would simply tilt back on the handle bars slightly to ensure ground clearance on the front end and then allow the power base do all the work of actually moving the attachment. I had plenty of ideas for ways that I could use the FLEX Chipper Shredder around the garden and it hasn’t failed at any of them. Most impressively, my process for gathering leaves to make compost has become much more efficient. I used to use rakes, leaf blowers, and a handheld leaf vacuum to gather, shred, and move the leaves to my compost bins, but now the work goes much faster with the chipper/shredder. 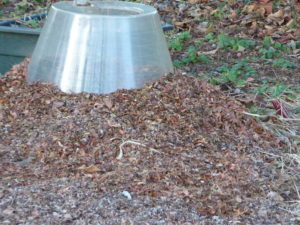 The hopper of the FLEX Chipper Shredder never stuttered as I added pile after pile of fallen leaves into it, and the huge collection bag always filled completely and never clogged as the shredded leaves filled it to the brim! I was so happy to say goodbye to the leaf blower jams, and forget the misery of that small capacity bag that seemed to fill as soon as I started sucking leaves into it. The process is so much smoother and easier now with the Flex shredder attachment. Now I have nicely shredded leaves to cover garden beds over the winter, to insulate the garlic patch, mulch individual plants, and to save for making compost in the spring. I’ve also been chipping branches to make my own wood chips. 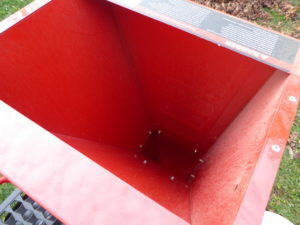 The smaller stuff goes right in the hopper and larger diameter branches go straight into the dedicated chipping chute. 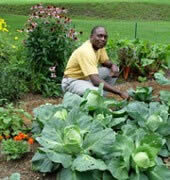 Either way it’s a cinch to chip, collect in the bag, and then move to any spot where mulching is needed. I can’t wait to see what the future holds for new FLEX attachments. 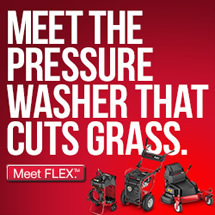 It seems like my favorite Flex attachment changes with the seasons, and that’s probably exactly the way that Troy-Bilt designed the FLEX system so that it can be appreciated and utilized all twelve months out of the year! How does it work with ornamental grass?